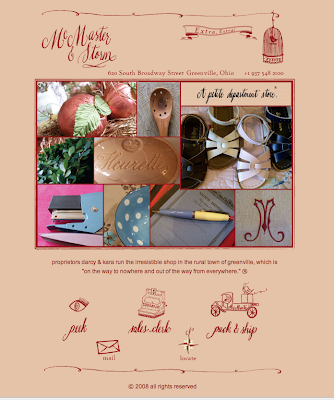 Congratulations to the talented ladies behind McMaster & Storm-A Petite Department Store in Greenville, Ohio! They successfully launched their online shop today and its simply lovely! I haven't been able to visit their brick-and mortar store-so this is really exciting! I've heard my friends rave about the shop and have spent quite a bit of time longing over all the sweet treats on their blog. I love all the little vintage millinery bits, birds, and boullion nests! Way to go! Online shops are HARD! Katie Runnels"blogs", "brick and mortar", "online shops", "supplies"